We've all been there: you decide to make exercise a priority, hit the gym for about two days, realize that the treadmill isn’t super thrilling, and begin to find “excuses” to forgo the gym altogether. Sound familiar? Instead of getting bored with your fitness routine, take a tip from our guide on the 5 fun ways to exercise this fall; because being healthy doesn’t need to be a hassle. If the elliptical is starting to feel like a torture device, try group fitness classes. If you’ve never tried yoga, I highly recommend it. While it may seem like holding a series of poses is not an intense workout, when done correctly, yoga can help to improve balance, focus and is a great way to assess your body for weak spots that need strengthening. To intensify your yoga practice, you can try Ashtanga yoga, Power Yoga, or for an extreme yoga experience, hot yoga. Hot yoga, formally known as Bikram yoga, is practiced in a studio heated to 105 degrees F, with a humidity level of 40 percent. My advice? Bring a towel, water and be prepared to sweat. 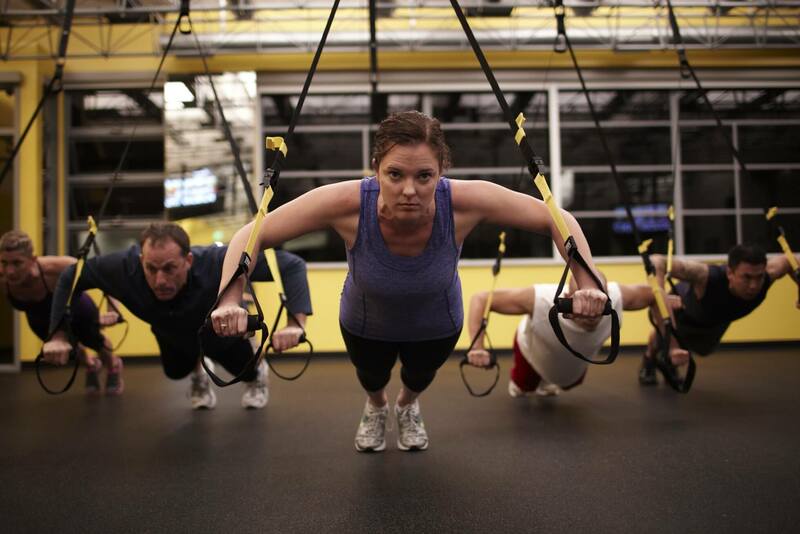 Prepare to be completely intimidated by the circus-like ring contraptions that accompany a TRX workout. I know I was a little uneasy upon walking into my first “TRX + Rope” class at my local gym. A “TRX suspension workout” uses gravity and your own bodyweight to perform hundreds of exercises. The good news is, you are in control of how much you want to challenge yourself on each exercise – because you can simply adjust your body position to add or decrease resistance. In the class I took, we alternated between jumping rope and TRX exercises that targeted the arms, abs and legs. Given that it was my first time to TRX, I probably didn’t look the most graceful doing the exercises, but I left feeling sore, sweaty and accomplished; for me, that’s enough to constitute a well worth it workout. With all of the emphasis on fad fitness boutiques and massive 5-star gyms, complete with saunas and smoothie bars, we sometimes forget about our most easily accessible fitness resource: the great outdoors. Instead of hitting the gym on Saturday morning, pack a picnic and invite friends to enjoy a nice long bike ride, a brisk stroll through the park or for a more adventurous outing, lace up your hiking shoes and hit the trails. In the race of life, it’s sometimes helpful to set mile-markers for yourself, instead of viewing your health as a lifelong commitment. For many students at my university, the goal is to be in shape by the time the Illinois marathon rolls back around in the spring. 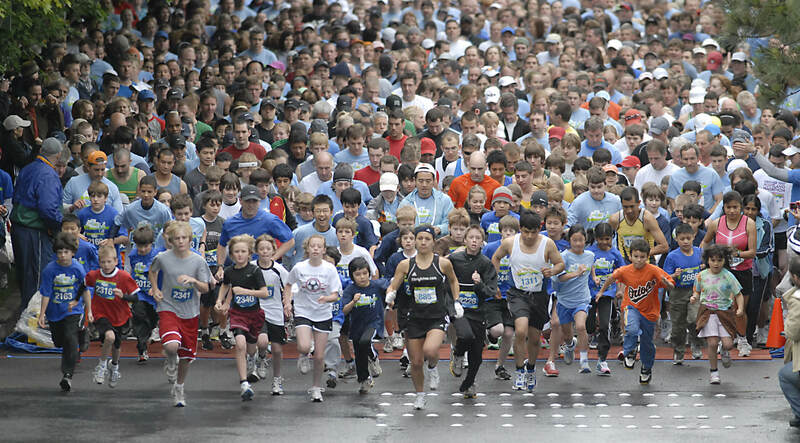 Groups of students sign up together for the marathon and then train side-by-side in order to be in tip-top shape for the race. Even if you are not interested in running a whole or even a half marathon, there are many fun 5K events that have fun themes and support great causes. Depending on how much training you need beforehand, pick a date a few weeks or months in advance and round up your friends for a day of fitness fun. The way a zumba class works is one instructor will lead a class through a series of upbeat songs that have both fast and slow rhythms; the combination of fast and slow beats is supposed to help you to tone and sculpt your body, while following choreographed dance moves. You see? Getting fit doesn’t have to be a chore. Avoid the monotony that comes with spending endless hours on the stationary bike at the gym. Instead, keep your body guessing and your mind refreshed by trying a combination of these exciting workouts.